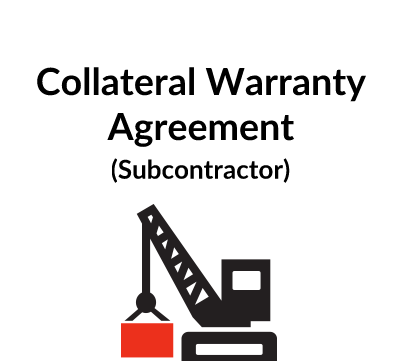 Who can use this collateral warranty agreement template? A developer, funder, purchaser or lessee of a construction project/development. Also, a an architect or professional consultant who has been asked to provide a collateral warranty. What is this collateral warranty agreement for? A self builder or homeowner should consider having a collateral warranty from their architect as this could be useful to a buyer if they later sell the house. What are the main issues for a collateral warranty template? The document contains a warranty from the consultant in favour of the beneficiary that the consultant has exercised skill and care in regard to their work on the project. From the consultant’s point of view, the duties in the collateral warranty should not be greater than those in the consultant’s appointment by the developer. Fairly standard wording for collateral warranty agreements has been developed over the years and there is more detail in our Explanatory Notes below. What detailed terms does the collateral warranty contain? A Collateral Warranty is an agreement between a consultant or contractor involved in the design and/or construction of a development and a third party, the beneficiary, who acquires an interest in that development. The beneficiary may be a purchaser or tenant of all or a part of the development or a bank or other company providing finance for the development. 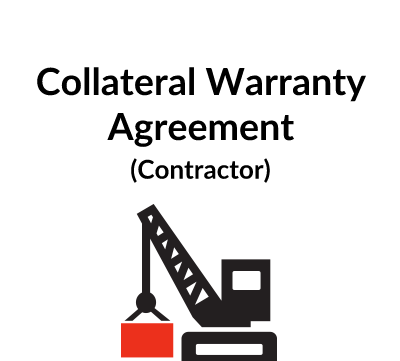 The purpose of a Collateral Warranty agreement is to create a contractual link between the beneficiary and the consultant or contractor involved in its design and construction. Under the English law of negligence, as it has developed over the years, the end-user of property who suffers economic loss because of defects that are due to negligence on the part of the builder or designer, is unlikely to be able to recover any damages if he sues that builder or designer for negligence. However, by having a collateral agreement between the designer or builder and the end-user, this problem is overcome – the beneficiary can sue the designer or builder under the collateral agreement on the grounds that there has been a breach of contract. Collateral Warranties are unlike most contracts, in that the two parties to the collateral agreement do not have any real commercial relationship. Indeed, it is unlikely that they will ever speak to each other. The beneficiary, under his agreement with the developer is likely to have a requirement for collateral warranties. That requirement is imposed on the consultant or contractor in his contract with the developer. The precise terms of the Collateral Warranty agreement are usually negotiated amongst the lawyers for the various parties. Over time the wording of warranty agreements has been developed and our form is in line with current developments in the English legal market. 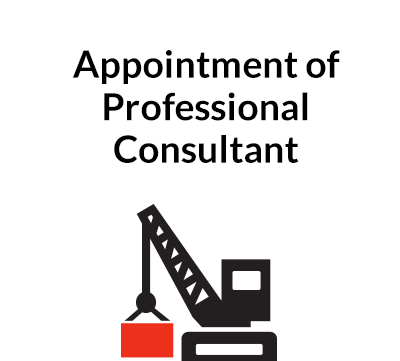 Consultants and contractors maintain professional indemnity insurance to cover their potential liability in negligence. It is therefore usual for a consultant or contractor, when presented with a Collateral Warranty, to refer that document to his insurance brokers. It is important for all parties that the wording of the Warranty is acceptable to the insurers so that, if a claim does arise, the insurers will be there to meet the claim – up to the insured limit which sometimes, but by no means always, is also the limit of the consultant/contractor’s liability under the Collateral Warranty agreement. There is more information on deeds in our free note at this address: signing contracts. Whenever the consultant firm entering into the agreement is a partnership, we suggest that an extra clause is added to the Agreement stating: “Where the Consultant is a partnership, all the partners from time to time are jointly and severally liable for the obligations of the Consultant under this Agreement.” In addition, the Agreement should be signed by all the partners unless one or more partners are formally authorised to sign on behalf of the partnership. In that case the attestation clause at the end will need to be modified. PARTIES. The Consultant who gives the warranty – sometimes known as the warrantor – will be one party and the beneficiary – the purchaser, funder or tenant of the development – will be another. 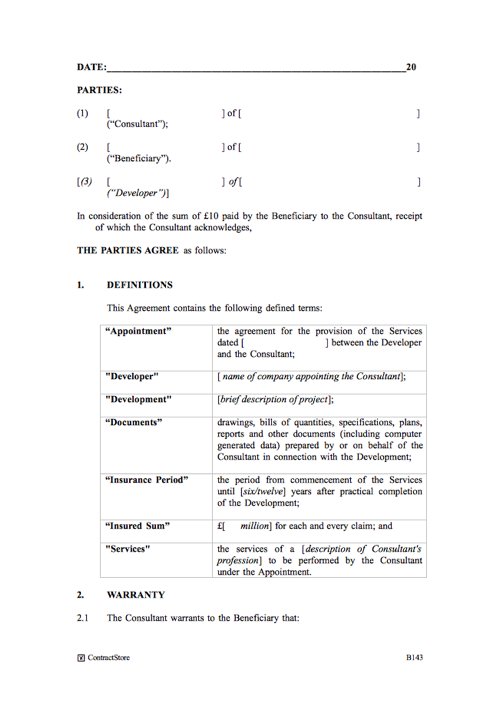 In our document we have also provided for the developer to be a party but this is only required if clause 9 applies. See our comments under clause 9 below. This clause will need to be completed with a brief description of the development, and the Services. The “Appointment” is the contract between the Developer and the Consultant to which this agreement is collateral and the date of the Appointment should be specified. Since the obligations of the Consultant under this agreement parallel the obligations of the Consultant under the Appointment, the beneficiary should always ask to see a copy of the Appointment and it is not unknown for a copy to be attached to a Collateral Warranty agreement. If, for example, there are restrictions on the Consultant’s liability in the Appointment, that might affect the rights of the beneficiary under the Collateral Warranty. “Insured Sum” and “Insurance Period” relate to the professional indemnity insurance being maintained by the Consultant – see clause 4. The insurance period will usually be 12 years from the date of completion – see the comments above concerning a deed. In this clause, the Consultant gives warranties to the beneficiary that it has exercised and will continue to exercise reasonable skill and care in its obligations to the developer under the principal contract. Clause 2.1 is broken into 2 parts, Clause 2.1.1 which imposes a duty of care on the Consultant, and clause 2.1.2 which has a warranty with regard to the Consultant’s obligations under the Appointment. Clause 2.2 makes it clear that the Consultant’s liability to the beneficiary is no greater than the Consultant’s liability to the Developer under the Appointment. Clause 2.3 is usually referred to as a “net contribution clause” and designed to protect the Consultant against a quirk of the legal system. In the absence of such a clause, if, say, the architect and structural engineer are each held to be responsible for 50% of the damages arising out of their respective negligent actions, and the architect had became bankrupt or ceased to exist, then the structural engineer would be liable to pay 100% of the damages to the Beneficiary. This clause is designed to limit that risk for the Consultant. Not all beneficiaries accept it but consultants’ insurers will usually insist on it being included – unless it is already in the underlying appointment, in which case the wording of clause 2.2 should be sufficient on its own without 2.3. It is usual to have a clause separate from the general warranty obligations, under which the Consultant gives a warranty that it will not specify for use materials, which are generally known to be deleterious to health and safety. We have incorporated a deleterious materials clause because a beneficiary or developer will expect to see one. In truth, however, it is arguable that there is little point in such a clause. For a consultant to specify unsuitable materials is most likely to be failure to exercise reasonable skill and care on the part of the Consultant and, therefore, covered by the wording of Clause 2.1. 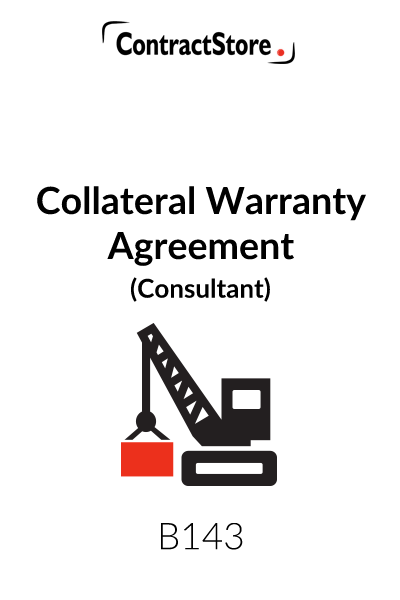 It is usual for a beneficiary under a Collateral Warranty agreement to have a right to use designs and other documents prepared by the Consultant but only in connection with the development for which those design documents are prepared. Copyright is nonetheless retained by the Consultant. Sometimes a consultant will want wording which expressly prohibits the beneficiary from using design documents for any extension to the development. If the Appointment is not in itself executed as a deed, the limitation period under that contract will not exceed 6 years. In those circumstances, the same period should apply in the Collateral Warranty agreement. Although a modest little clause, the wording of an assignment clause in a Collateral Warranty agreement can generate a lot of argument. The main reason for this is because professional indemnity insurers like to limit their risks by imposing obligations on the Consultants who take out insurance with them. The standard practice nowadays is to allow the benefit of a Collateral Warranty agreement to be passed on twice by the beneficiary. Usually this will occur when the beneficiary is an owner or tenant and wants to sell his interest. In clause 6.1 the words “not to be unreasonably withheld” may be resisted by consultants and their insurers – hence they are in italics as an option. This clause, as indicated, is usually only appropriate when the beneficiary is providing finance for the development. In those circumstances, if the developer fails to pay the Consultant, the beneficiary is likely to want to step in and take over the development. Clause 9 has the effect of varying the terms of the Appointment by requiring the Consultant to give notice to the beneficiary before he terminates the Appointment. The beneficiary then has the right to take over the developer’s role under the Appointment and an obligation, under those circumstances to pay the Consultant any money that is outstanding. Consequently this clause has a potential benefit for the Consultant: a lending bank may rescue it if the developer becomes bankrupt. As will be seen, there are strict time limits contained in the clause and the beneficiary does not have any obligation to step in – only the right to do so. As the effect of this clause is to vary the Appointment, it is important that, when the collateral warranty agreement contains such a clause, the developer should be a party to that agreement in order for clause 9 to be effective.